We offer Summer Camps from July to September. The week-long camps are set up to challenge all levels and ages in a safe, enjoyable and fun-filled environment. The camps are led by knowledgeable, experienced and enthusiastic instructors to ensure complete satisfaction for all. 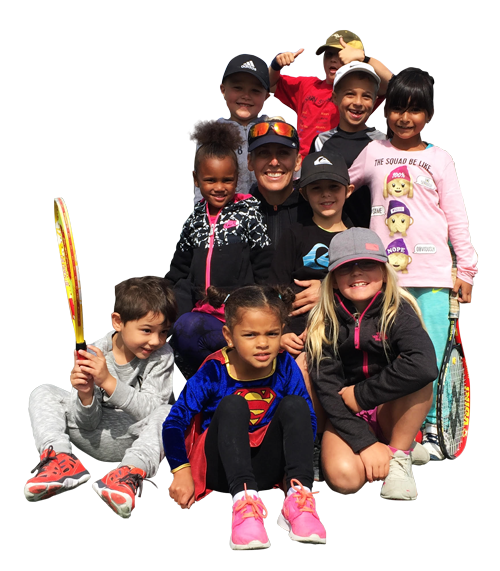 Our main focus is the development and enhancement of proper tennis fundamentals, while promoting teamwork and fair play. Participants will experience and enjoy the challenges of not only tennis but other sports (e.g. soccer, basketball, fitness) and activities. Week ending tournaments, contests and prizes will make the camp experience even more memorable. Participants are responsible for their own lunch with the exception on Fridays when lunch is provided as a fun way to end a wonderful week. Come and join the fun!!!! *For your convenience, we offer early drop off and late pick up at an extra fee. Contact us for details. **A guest fee of $15 per week applies for non members. ***We offer a family discount of 5% for siblings. ****Prices shown on this website do not include HST. Fill in the form bellow to register for our summer camps. You will then recieve a confirmation e-mail from us to confirm your registration. We will not share your information with outside parties. We will only use your phone number and e-mail to communicate directly with you about your tennis progress. We will use this info to make his or her day special. Do you require early drop off, late pick up or both?